It took a while, but burgers are the new hit in Rio de Janeiro. In the last years, there has been an enormous increase of burger restaurants all over the city. But where to go for the best burgers in town? 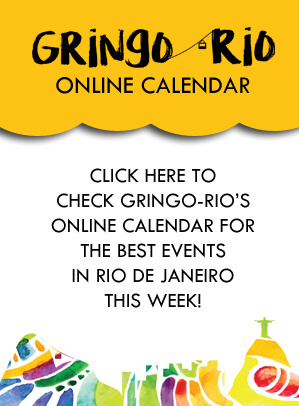 This list should help you find the best burger places in Rio de Janeiro. A stop in The Fifties, is a travel in time altogether. The restaurant is decorated in an old-fashioned manner, with typical American antique booths and a counter top where one orders a strawberry milkshake. It leads you to believe that you were cast in an old movie, where you’d meet up with your friends for burgers and shakes. The almost extinguished Coca Cola glass bottle is still available in The Fifties, as are their home-made milkshakes, made with classic ingredients used in the 50s. 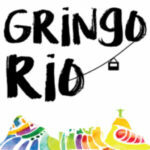 Their specialty burger with fillet steak is selected three times by a respected magazine, Veja Rio. 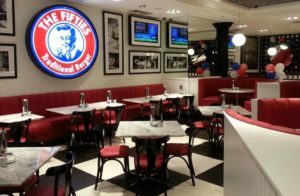 Whether it is a burger, shakes, fries and onion rings, or just a trip back in time, The Fifties has you covered. T.T. 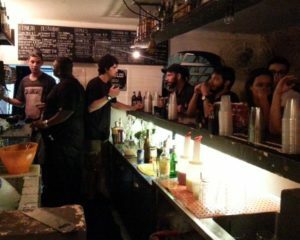 Burger, is, without question, one of the most alternative burger places in Rio de Janeiro. Its secretive ingredients attract people who are curious to know what their restaurant is all about. Their bread is made with sweet potato, an interesting contrast to the standard white bread. They are provided by Arte Conventual, a company that recruited residents of the favela area Complexo Alemão to become excellent bakers that distribute fresh batches of bread to T.T. Burgers just in time for your order. Their ketchup replacement is a barbecue sauce made with guava paste, and their pickles are made with Brazilian chayote. Since the opening of the restaurant, the ingredients are concealed in safety. What is not a secret: their meat is Brazilian. Drop by the next T.T. Burger you come across and dare uncover the mystery. 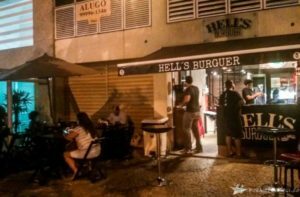 As its name suggests, Hell’s Burguer is no place for people with small stomachs. Their burgers are big, juicy and ironically, bites of heaven. They butcher their own meat, made with rib fillet, and provide their very own beer, From Hell. This restaurant also makes a super sized burger that you need to order two days in advance, named Colt 45 in their menu. The only cheese available is their smooth cheddar cheese, which alone conquered many hearts. To top the order off, their caramelized onions and homemade bacon jelly. If jelly isn’t your thing then their spicy barbecue sauce So Hot! It’s Stupid! will do. Hell’s Burguer’s crunchy fries will beat any others you’ve tried right off the bat. Give this burger place a go, and you might find yourself going back to it more than once. An empty seat in Comuna is a rare sight, even more so anyone leaving with a frown on their face. The brick walls and dim lights set a pleasant environment, and the burgers are mouthwatering. It is inexcusable to go to this restaurant without trying their cocoa bun burgers with bacon and duckling meat. Their barred potato chips with curry are an additional must to your order. Comuna is no ordinary burger joint, but it’s still simple and classic. BIBI Sucos is notorious for welcoming surfers and athletes who come in for a big bowl of açai, or a nice burger. Of course, it is also open to anyone else who happens to crave some junk food. 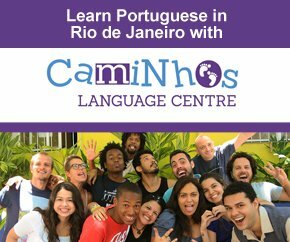 Their installments are more recurring throughout Rio as there are more than one to choose from. BIBI Sucos burgers are simple, with ordinary bread, meat, tomato, leaves, and your preferred cheese. In this case, however, less is more. Their burgers taste divine all the same. If not for the burger, one should go for a bowl of açai or pitaya, both very trendy in and out of the city. And don’t miss their extensive list of juices because they offer exotic options with fruits only available in Brazil. It is a highly recommended place to visit, for a tasty burger or an acai.